New character and DLC ahoy! 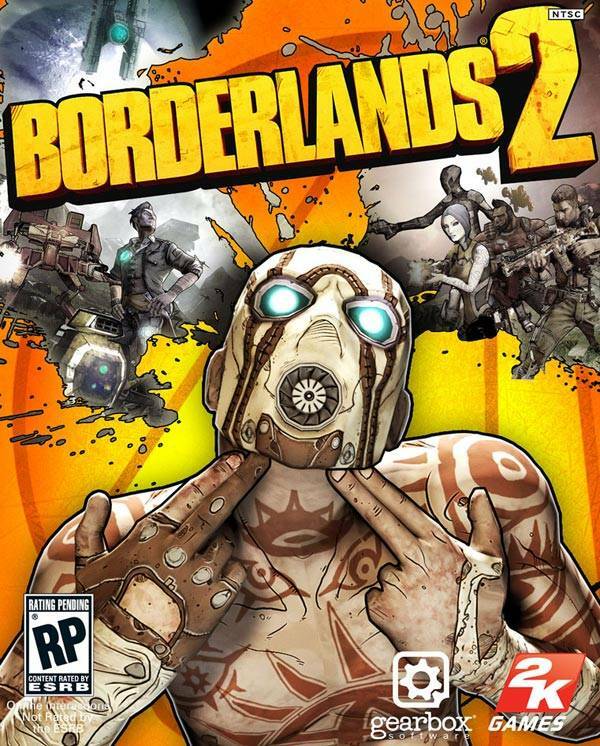 The Mechromancer was an additional character added to Borderlands 2 by Gearbox Software which brought the total characters in the game to five. 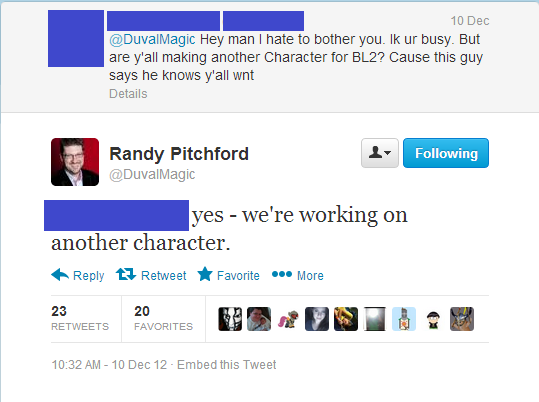 Now according to a new tweet by Gearbox president Randy Pitchford, it seems that there’s one more character that will be added to the game. This shouldn’t be a surprise because Gearbox has promised to bolster the game with a lot of content including new content and characters. They have released four DLCs so far and a fifth one was leaked recently too via PS3 trophies titled: Sir Hammerlock’s Big Game Hunt. We reviewed the game and gave it a glowing score, you can read that over here. Tell us what you think in the comments section below.